Today our WPOI is Dre Armeda. Yeah, that guy. He’s been around WordPress forever and is also one-half of the Dradcast team. You’ll certainly want to get his perspective on what he thinks WordPress needs in the future. 1. Tell Us About Yourself, The More ‘Unknown’ Facts the Better! Some know me from the various WordCamps I attend and speak at, others will know me from the WordPress related podcasts I have been on over the last year. 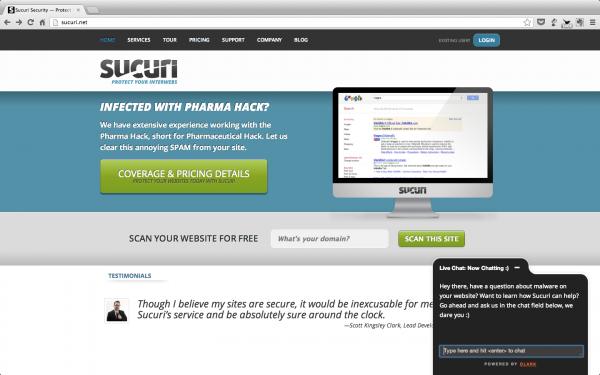 Most probably know me as the CEO and Co-Founder of Sucuri Inc. and for helping kill malware across the internet. A few quick details about me: I am a proud 12 year Navy Veteran, I love spending time on the softball fields with my girls and with my own team, and I love working on and riding my Harley Davidson. 2. How Did You First Get Started With WordPress? It was many moons ago my friend! In the late 90’s as the resident geek for VFA-147, an F-18 Squadron in Lemoore, California, my Warrant Officer handed me a copy of Adobe Photoshop 4.5 and Microsoft Front Page. You’re the squadron IT, and now you’re our new webmaster. You have two weeks to build us our new intranet site to be used by all Sailors on the Navy network. Alrighty, I guess I have been volun-told is what I remember thinking. In the end, I couldn’t be more appreciative for his direction on this, it changed my life forever. From that point I started to design logos, layouts, business cards, and goofy graphics in general. I fell in love with Photoshop. I kept learning and designing to the point where it became a consistent supplement to my awesome Navy pay, yes that’s sarcasm. Over the next few years I had accumulated quite the portfolio and needed a way to get that online so I bought my first domain dremeda.com. I set off to get my designs online and built a cheesy static site which showcased my stuff and even had an iFrame area for latest news articles. What a hassle really, and quickly I learned that this was not a fun way to manage a portfolio site, so I started searching for a better way. I went through just about every CMS and blog software available trying to find something easy to manage and customize, in the end I think I made the right choice and settled on WordPress. I think it was 1.5 at the time. By early 2005 I had constructed and launched my first WordPress website and had created my first theme, the rest is history. 3. What Do You Feel The WordPress Community Needs Most? I think often times we confuse the overall WordPress user community with the sub-community of devs/designers/service providers we are a part of. I think it’s important to differentiate as they are coming in from very different directions. I think the overall community needs to continue to receive great advice and options for their needs, coming from that sub-community. I think one of the great things about WordPress is the sharing aspect that it has, and the open source feel that has spread like wild fire, we need to continue to grow that feeling. In terms of that sub-community I mentioned, I think we need to better communicate and build stronger consistencies amongst us. Whether that be from core contributors to WordCamp organizers, or from the WordPress foundation team to theme/plugin developers. We have built a governance model and pretty clear direction for most things associated to WordPress as it relates to licensing, and the way that we should champion its core. The challenge is I don’t think that easily translates across the board, and in some cases has been inconsistently communicated, or even misunderstood. We all need to do better to understand our community and how to evangelize WordPress in a positive way, this will help it live and grow. 4. What Would You Like To See Implemented To WordPress As A Core Feature, If Anything At All? 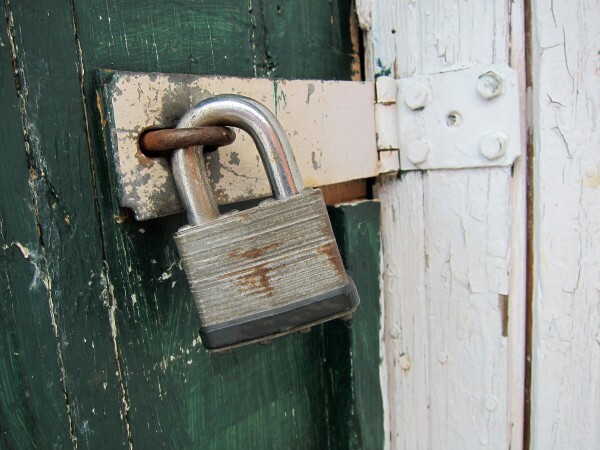 Personally I would love to see better security policy management tools. What I mean by that is better ways to manage roles, and the capabilities those roles have. I would also love to see better password/credential management – what if we could easily force full password resets from core, or ensure a minimum standard for password creation? I think it’s about reducing the risk of issue in these areas, and this is definitely something that all users could benefit from. If we stick the 80/20 philosophy, this fits in my opinion. 5. As Someone Who Has Built A Successful Business Around WordPress, Any Tips You Would Like To Drop On Other Entrepreneurs? Great question! It’s about filling a need, whether a personal need for folks, or a business need. If you build something that solves a problem easier or better than anything out there, it will take you a long way. To sustain that, you need to offer wonderful support. People may buy a product because it fills a certain need, but if you want to retain them as loyal customers, you need to build trust that you will be there for them along the way. This has been something we have stuck by at Sucuri and we have built great relationships with our customers, there’s huge value in that. 6. Sucuri Seems To Be Growing At Warp Speed, How Do You Manage All That And Find Time To Run Side Projects Like Dradcast? You can add this one above as well. It’s really hard to go at things alone, it can be overwhelming really, and you may meet failure a lot quicker rolling solo into any business venture. Startups already have a high rate of dying, but going at one alone almost digs the hole for you. We have the luxury of having a brilliant team at Sucuri, and from the beginning, I have been fortunate to have wonderful partners. I am very lucky. If there’s anything I can drive home here is that it’s crucial in any early stage company to have responsible and trustworthy partners to help you build and drive the business. Without @DanielCid and @Perezbox helping start and manage Sucuri we wouldn’t be where we are today, and I wouldn’t get time to babble with @Williamsba on the DradCast every Wednesday night at 8PM Eastern. Ah, a shameless plug. 7. Any cool WordPress Start-ups That Have Caught Your Eye Recently? Something that has caught my attention because it’s WordPress specific and it relates to what we do at Sucuri is the influx of managed WordPress maintenance solutions that have started popping up. I think this is an interesting place to build services around. I think it integrates very well with existing services out there giving end users a lot of options to maintain their WordPress sites better. 8. If WordPress Never Existed, What Would You Be Doing Right Now? I would be working on my last tour in the Navy. One of the drivers for me getting out of the Navy in 2007 was being confident I had all the tools in place to be successful. I had formalized education and training, certifications, and practical experience which positioned me well upon my transition to the real world. One of the areas I was already involved in was the WordPress community. Without WordPress in my life already, my decisions could have been very different. I enjoy softball. Not only do I play but my daughters do as well, and I coach my 8 year old currently. We spend a lot of time on the dirt throughout the year and love every second of it. I’m also a Harley enthusiast so cruising my Street Glide is a good getaway. Beyond that I’m a huge sports fan and enjoy going to events.